Are you looking to purchase your very own tractor? Well then check out this caterpillar in great condition up for sale! This auction features a 1984 Caterpillar, 130 G Grade. This yellow tractor comes with a diesel fuel gas engine and is equipped with a variety of things including an attached 12′ snow wing extension to blade, manufactured by Little Falls Machine, Inc. There are approximately 4,911 hours on this tractor. Caterpillars can be pretty expensive, but if you bid on this auction before closing time you can have a chance at winning this awesome tractor for an unbeatable price! In terms of deficiencies, the tractor may have some minor deficiencies. Blade shift cylinder is leaking fluid and needs to be repaired. An inspection of this vehicle is strongly suggested. This auction is located in Soldotna, Alaska and the closing time is on February 12, 2019 at 8:24 p.m central time. For additional information about the property and proposed sale, please call 907-252-9351. The current bid on this tractor is currently $15,000 with the reserve not met yet so make sure that you become the very first person to bid and have a chance at owning this grand caterpillar! For any further information, simply click here to subscribe to www.governmentauctions.org for your FREE 3 day trial. 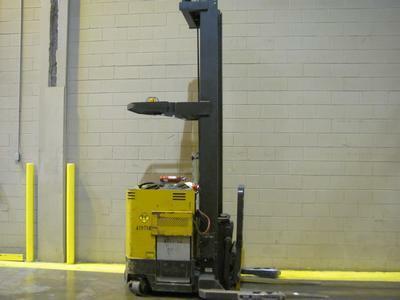 2003 Caterpillar NRR40 Forklift: Do You Even Lift, Bro? Have a look-see at this next surplus auction deal on a 2003 Caterpillar NRR40 Forklift Machine now up for online bid. This electric stand up forklift (#2GL07205) is the perfect tool to help you lift those heavy things without pulling a hammy. It runs perfect without smoking or overheating and both the fork and tires are stated to be in good condition. The safety warnings and mast are also in working order. It runs a 36 volt, 3 phase battery, and a charger is included in the sale. The forklift also has approximately 9,647 hours of use on it. You will need to bring a driver’s license and proof of insurance if you end up winning this auction, so keep that in mind. The current asking price for it is just $141 with 3 online bids placed. To find out more about this deal ending in less than 2 days, simply click here to activate your 3 day free trial account. If you’re looking for heavy machinery, we’ve got you covered. The government auctions off all types of machinery, tools, and equipment on a daily basis. Take for example this next auction deal on a 2000 Caterpillar Backhoe (VIN# 148KFZ40290003). This vehicle has 4 wheel drive, air conditioning, power steering, rear window wiper, rear defroster, and more! Deficiencies of this backhoe include a cracked windshield, and the swing assy needs to be repaired or replaced. It’s being sold as is so it’s strongly recommended that all potential bidders come in and preview this item in person before bidding. The current asking price for this Caterpillar is $10,200 with 1 day, 21 hours, and 26 minutes already placed. Click here right now to learn more about this ongoing surplus auction deal! 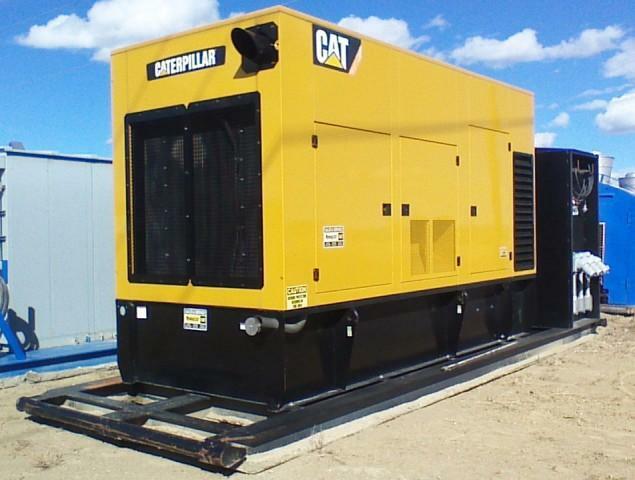 2009 CATERPILLAR C27 DIESEL GENERATOR: They’re Generating Amazing Deals! Take a look at this next deal for a 2009 Caterpillar C27 diesel generator that is now currently available for online auction. This skid mounted generator is rated at 725KVA, 277/480 volts. It has a 45 amp alternator and features: 1800 rpm prime mover, 660 gallons, an engine mounted muffler (15 dba reduction), jacket water heater, EMCP 3.2 control panel, and much more. The generator is operable but some minor repairs or tweaks may be needed. It is strongly recommended that you preview the item in person prior to bidding on it. The item is also being sold as is and the winning bidder will be solely responsible for the items removal. The current price for it is $51,100 with 11 online bids already placed. This auction will be ending in exactly 3 days and 1 hour so hurry up and activate your 3 day free trial right now if you’d like to learn more about it! 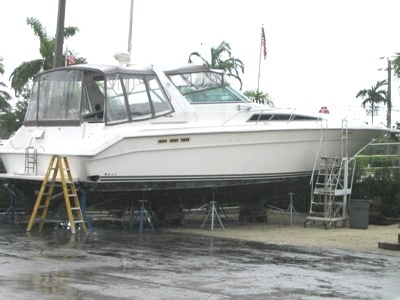 Check out this next auction deal for a 1996 43ft Sea Ray Vessel. If you’ve been waiting for a great deal on a boat, then your patience has finally paid off. Known as Double Trouble, this boat (hull number SERP3392G69) sports duel diesel Caterpillar engines, weighs 13.0 gross tons, a breadth of 14 ft, and a 3 ft depth. The boat runs well and has no stated defects. The boat is currently being help in pompano Beach, Florida and it will be available for live preview to those interested; you just have to make an appointment before hand. This vessel will be going up for live auction on November 14th, 2013 and the minimum bid will start at just $12,000. Want to find out more about this and other seized boat auctions? If so, then all you have to do is click here right now in order to activate your 3 day free trial account. 1997 Caterpillar Backhoe: Keep Digging! 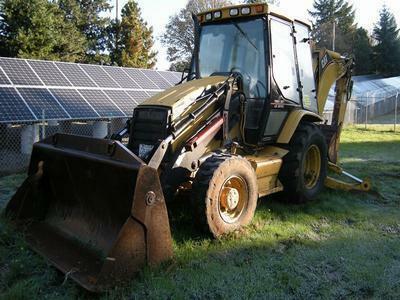 This 1997 Caterpillar Backhoe can be yours at this current online auction! Caterpillar makes a pretty excellent industrial machine and this backhoe would help you dig some foundations in no time. If they had this machine back when the pyramids were built then it probably would not have taken so long and there would probably be more pyramids. Imagine if you were in an excavation and at the bottom of one of these pyramids there was a Cat Backhoe? It would make perfect sense. But how did it get there? Well, that would be up to you to find out! This machine is located in Idaho and can be picked up at the auction site. The current bid is only around 15K with the auction ending soon. You can save big on this big machine! Find out more about this item and about many more government auctions by activating your free trial account now! Caterpillar Bulldozer: Move The Earth! This Caterpillar Bulldozer is now available for current online auction. This machine is up for grabs and is located in the state of Nevada. You could climb aboard and start moving earth around your construction site. This is a great item to have for anyone who owns a construction company. You could fix this baby up and get to work. You do however need to know how to use one of these. If you don’t, well, you could learn or maybe even teach yourself, as long as you have a big open space to practice. It’s not really like driving a car, so try not to take it on the highway. You could even paint it a cool color and add some awesome designs to it as well. The current bid on this item is only $530 with the auction ending January 30. You can find out more about this item and about many other government auctions by activating your free trial account right now. Operating A Bulldozer Efficiently: Get Your Hands On This Caterpillar! Operating A Bulldozer Efficiently could be a pretty cool side gig if you manage to land one. This current online auction is for a Caterpillar Bulldozer that is located in New Mexico. This giant sized industrial vehicle can seriously aid you in your construction pursuits. You can excavate foundations and do all kinds of crazy work with this machine. This Caterpillar is a larger than life vehicle. It can move over a hundred tons of dirt and clear a path for the rest of your machines to come in. It is located in New Mexico and we are pretty sure that you can’t have it shipped to where you are. You may have to go down there and drive it off the lot. This heavy piece of machinery would be ideal for a construction company that is in the vicinity and needs some new equipment and fast! The current bid on this item is only $2,025 with the auction ending tomorrow. You can find out more by clicking here. Using a backhoe like this Caterpillar 446 Turbo Backhoe would be elementary if you wanted to dig up some spots in your own backyard or take this to a construction site and help lay down a foundation. You would also be laying down a foundation for your future if you picked this item up because it could be your first step to owning a construction company or a construction equipment rental supply store. Caterpillar is a name you can trust and they have been making hard working equipment for a very long time. They are one of the staples of the industrial machine business. This backhoe would treat you right as long as you take care of it. It is located in the U S of A and can be yours soon. It also looks like it is in pretty good shape and also looks like it is no stranger to work at all. Find out more about this item and about many other government auctions by activating your free trial account now. 2 Allis Chalmers Forklifts Model ACC60DS: What’s Better Than One Forklift? You’re In Luck With This Truck! This Electric Vehicle Will Make Your Life So Much Easier! Government Auction for a BMW X5!! Speed and Power: Chevy Camaro starting at $100!